Physical surveillance is conducted in numerous types of counternarcotics operations from controlled buys and pattern of life intelligence collection, to cross-border operations on the national Southwest and Northern borders. This course focuses on physical surveillance skills, equipment, and adaptability necessary to become proficient at conducting surveillance on narcotics related activities through a variety of terrain. During this course, students will learn to develop tactical operation plans, surveillance reports, deconfliction procedures, suspect apprehensions and takedown techniques, surviving confrontation situations, and circumventing counter-surveillance operations. Student officers will learn to operate in task force situations through multiple jurisdictions. Students will be immersed in actual surveillance operations conducting surveillance solo and in team scenarios. Surveillance methodologies will stress and test officer safety, efficiency, and adaptability through various settings. One day of classroom instruction will be followed by four days of immersion into real surveillance operations. If possible students should bring vehicles to be used in the practical portions of the class. Each vehicle must be properly registered and insured. Each department-authorized vehicle must have a letter from the department stating that the student has permission to use the car for surveillance operations during the course. Students without access to a vehicle will be paired with other students. 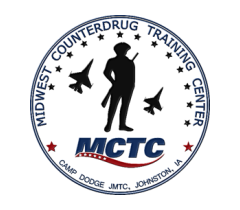 Physical Surveillance for Counternarcotic Missions is a 5 day (40 hour) course. Please note that daily start/end times will shift to accommodate nighttime training scenarios.